But the story of the A18 starts with its modules; beginning from the bass, but working throughout the signature. For even though the primary difference between them is merely the quantity of the bass, it’s instrumental in determining the general direction of the presentation – playful, or dead serious. With the M20, the A18 sounds joyful, and exciting. The bass shifts towards the fun range, and sounds engaging. This is a bass with power. This is a fun bass. But despite the significant impact of the mid-bass, its stage remains remarkably airy – something that seems to contradict the predefined laws of performance. The airiness partially results from its quick decay, although the treble tuning certainly helps. The lifted treble provides clarity in its impact, but as a result, it isn’t the most natural-sounding mid-bass in tone; the emphasis is on power, while maintaining the clarity of the image. In addition, its definition is quite good. Switch to the M15, and the story changes. The bass itself sounds a bit cleaner, and closer to neutral in quantity. But the main effect of taking the bass down a notch, is not necessarily the quantity of its impact; it’s in its role in determining the tone. For attenuating the bass, will automatically open up the treble. Overall, the sound becomes cleaner, while starting to lean towards analytical. This is the serious side of the A18, keeping it strictly business. It’s a more reference tuning, where clarity comes first. But this isn’t only a tuning that will appeal to the more detail-oriented listeners, as it allows flexibility over sources; with the RW AK380cu I prefer the M20 module, while I might go with the M15 for the WM1Z. The A18’s midrange sounds clear, and clean. It’s articulated, and detailed. But even though its tonality is fairly neutral, there’s a slight hint of warmth in its midrange, powered by its bass – in the case of the M20 module. A warmer blanket over its treble energy, providing an easiness in its tone. Switching to the M15 module puts more emphasis on the articulation of midrange notes, while increasing their transparency. A more detailed midrange, resulting from the cleaner sound; though somewhat void of warmth. The emphasis is on their definition, resulting from the lifted treble. But a stimulating sound, nevertheless. But the A18’s midrange is all about the upper-mid section: a touch of light and sparkle breathes life into its instruments. The A18’s instruments are fairly neutral in overall body; neither particularly lean nor thick. But the right type of tone or guitar can instantaneously light up the headspace, making melody-driven music particularly appealing. 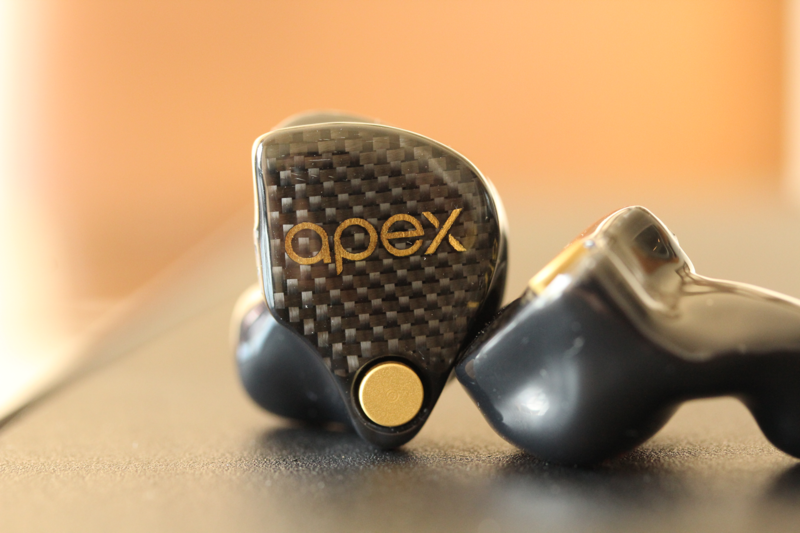 Despite delivering an exciting sound, the overall sound is fairly smooth. It’s close to neutral, with a slightly brighter instrument timbre – there’s an additional touch of sparkle that adds energy and liveliness to its instruments, although they aren’t completely accurate in their timbre. You can however fall back on a snarling electric guitar to provide that howl and bite, that defines their very existence. But it’s equally a type of tuning especially a violin seems to respond to, as it resonates with a beautiful clarity in its tone, while remaining smooth. The lifted treble puts the upper midrange in the spotlight, while bringing detail to the foreground. Due to the lower treble peak, the vocal emphasis shifts towards articulation, resulting in a clear and well-defined vocal presentation. The lower midrange as a result, is somewhat laid-back. The A18’s vocal position is fairly neutral in terms of forwardness, but can on occasion lack a touch of solidity of the vocal image. The vocal size is good, but it’s not a particularly dense image; but this is strictly relative to the class leaders. In addition, their tone could be a bit warmer. There’s certainly a sweetness in a female’s voice, but a male vocal might miss a bit of emotion at times. But overall, it’s a more than engaging vocal presentation, based on its clarity and energy. The A18’s lifted lower treble is key in shaping its signature – it benefits the precision of the sound, while providing a sense of energy. But one that’s particularly engaging to listen to as well: articulate, and rapidly quick. A technically highly proficient treble, conveying a somewhat ethereal feel. And a nice touch of sparkle gives it a musical sound, while managing to remain within tolerable limits – even for sensitive listeners. It’s a tuning accomplished by strongly attenuating the mid-treble region, following the lower treble peak. The result is a clear, but sufficiently smooth treble, even though its timbre could be a bit warmer to sound accurate. Equally important, is its top-end extension. For the upper treble range is not only well-extended, it’s slightly more pronounced. A minor peak around 15 KHz adds a touch of brightness, while making its detail retrieval significantly more upfront – a killer combination of clarity and resolution. At times, this gives the A18’s treble notes a unique twist, a somewhat lingering decay of the overtones. A unique sense of detail, shadowing a treble note. The result is a vibrant sound, with an additional sense of realism. Taken together, an excellent treble; both in terms of excitement and performance. Your review methodology is the best I’ve come across in all my hours of research in audio, and for such great work, I can’t thank you enough. I lost count of how many times I’ve read some of you list’s reviews. In my persuit for my first (and hopefully only) high-end IEM, I’ve only considered those with the most spacious soundstage as I am trying to get the closest experience to a full-sized headphone in a closed IEM form. Headphone audio is where I come from, and considering my work and commute hours, there’s hardly any time for me to enjoy music at home.. that’s why I’m here looking for such an unconventional dream! I’ve auditioned the Audeze iSines, and if there’s anything coming close to it’s impressive soundscape and spaciousness – albeit in a closed format – then that would be my dream come true. Just from research alone I’ve narrowed down my choices to the W900, Mason V3, and the most expensive tia Fourté. I think the last one might be the one for me, but unless I read a direct comparison – from the same reviewer – between it and the A18 Tzar (which I figured is too analytical in its portrayal of music), I can’t be sure. Not to put on you any pressure, I’m just saying that I’m counting on you sir! I understand what you mean, I rarely listen to music at home so I’ve always stuck with portable audio. The iems you mention indeed all have a spacious soundstage. Another few worth mentioning are Zeus and VE8 for instance. Maybe it might help to know what kind of sound you’re looking for? When it comes to Fourte and A18, there never seems to be consensus to which one is brighter, as I’ve read countless posts saying either. I can add my 2c, but I’ve only demoed Fourte a while ago so take my impressions with a grain of salt. Personally, I found Fourte the brighter, more analytical of the two. However, due to its dynamic driver it has a more analogue sounding bass, with an emphasis on sub- over mid-bass. So it’s a relatively, tight, punchy bass, with a slower more natural decay than A18. 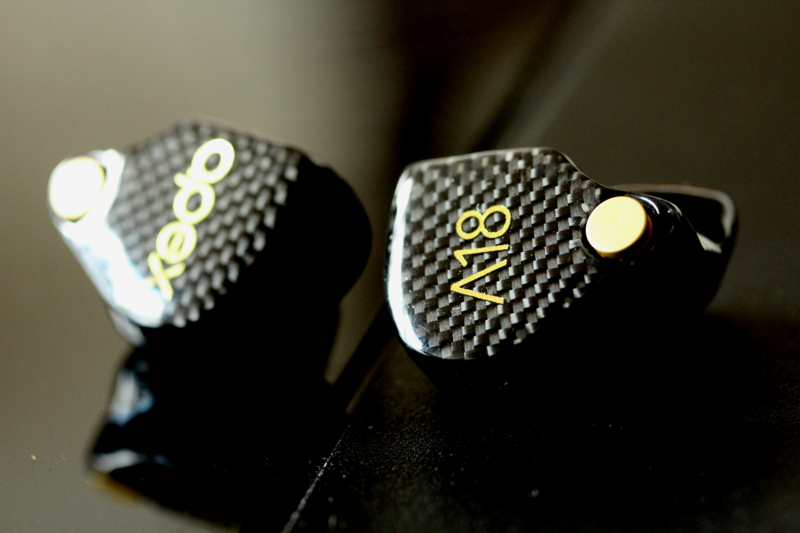 The A18 has more bass quantity overall, but it’s emphasis lies on the mid-bass. However, despite its quantity it has a quicker decay. 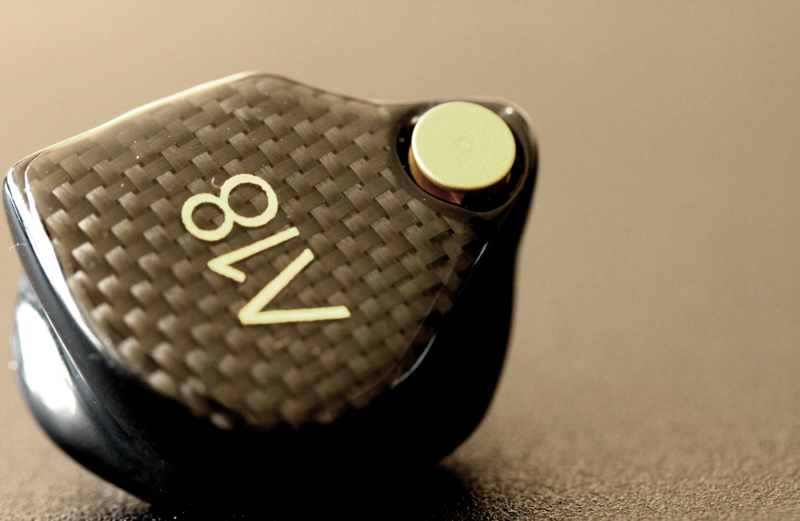 The A18 has more body to its sound, which made its midrange more engaging, while its treble is a bit smoother. Fourte on the other hand has more upper treble presence, which makes it brighter and hyper-detailed, contrasting the analogue bass with quick treble. Where the Fourte particularly excelled was the three-dimensionality of its stage, where its spacious stage with precise imaging results in a holographic feel. The A18 mostly has a wide stage, with average depth and ok imaging. An excellent review and the reason frankly I just purchased the A18. Outstanding review extremely in depth. Thanks Ray, appreciate the kind words! Hope you enjoy them, let me know. isine 20 sound better to my taste .. Outstanding as usual! I will make my first CIEM or high-end IEM purchase over $1K based on your reviews and something I’ve been contemplating since the days of me hounding |joker| and average_joe years ago so thank you very much. Can’t wait to see #2 & #1 reviews. Thanks for the kind words Lord Sinister!